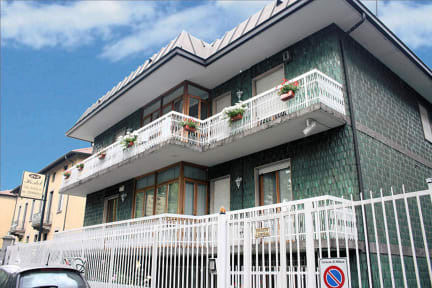 Guesthouse Villa Melchiorre is a new building in the city. You will enjoy your stay in comfortable rooms. 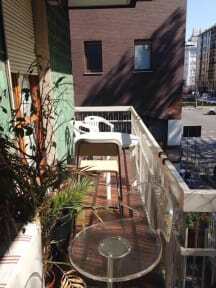 Strategical position for both near railway stations Centrale and Garibaldi, one of the most lively area in Milan. You can reach by walking the most famous nightlife, restaurants and attractions.The most important undergrounds are close, and you can easily reach our stadium S.Siro, Niguarda Hospital , Bicocca University, Politecnico in Citta Studi and our new fair in Rho. 3 euro city tax per person per night is not included. Breakfast is not included. For air condition is extra-charged 5 euro/night. Very good value! Nice room with a personal touch, lots of information about the city. Close to the trainstation an a short walk to the city so a good place if you make a short stop in Parma. The host was very helpfull. Als noodoplossing gevonden nadat we een trein misten. Telkens wij aan de balie passeerden was er iemand aanwezig. Personeel was niet echt vriendelijk. Keek amper op van zijn telefoon / computer. Badkamer boven was zeker OK, de badkamer beneden was zeer basic (geen slot op de deur, niet al te netjes). Ligging kon beter. Openbaar vervoer was niet vlakbij. Pluspunt: airco aanwezig!! Vlakbij is een heel goed Aziatisch restaurantje!